The Audioengine HD6 Bookshelf Speaker System has received a lot of attention lately, from both audiophiles and professional musicians. Audioengine, as a company, has been around for 15 years, time in which the manufacturer has kept the philosophy that an audio system should have three main qualities: It must make music sound great, the set up process should be simple so that anyone can do it, and they speakers must be extremely easy to use. Overall, the HD6 contains a large number of features that are designed to make the system compatible with a wide variety of services and devices, enabling the owner to use it out-of-the-box. However, the speakers truly shine when it comes to the clarity with which they produce sound. 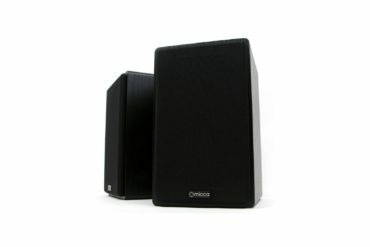 This having been said, while the system is not designed for professional use, it does perfectly suit the needs of those looking to get a pair of quality bookshelf speakers for either a computer or a home entertainment system. The HD6 can truly be considered a work of art when looking at the fact that the manufacturers have found the perfect blend of modern technology and elegant, classical design. 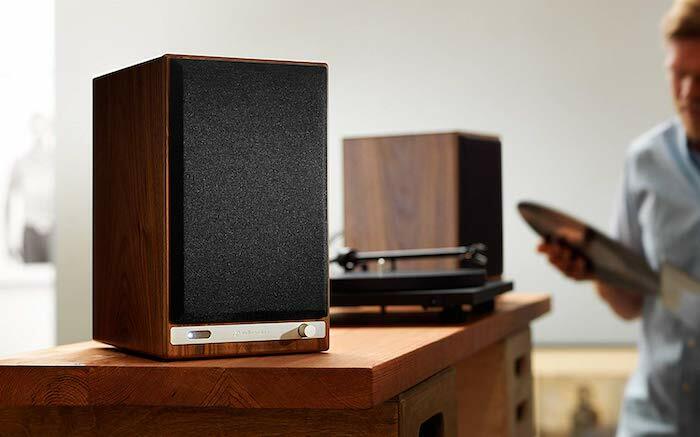 The wooden enclosures of the speakers are simple, elegant, and extremely easy to match with almost any type of furniture. Also, the front of the speakers only has one knob that controls the volume and comes with magnetically attached grilles. As for the back of the speakers, it contains all the ports needed to connect them to each other, the voltage selector, the Wi-Fi antenna, and an optical input port. Everything is well spaced out and allows for great cable management, and there are no parts protruding so that the speakers can be placed right in front of a wall. 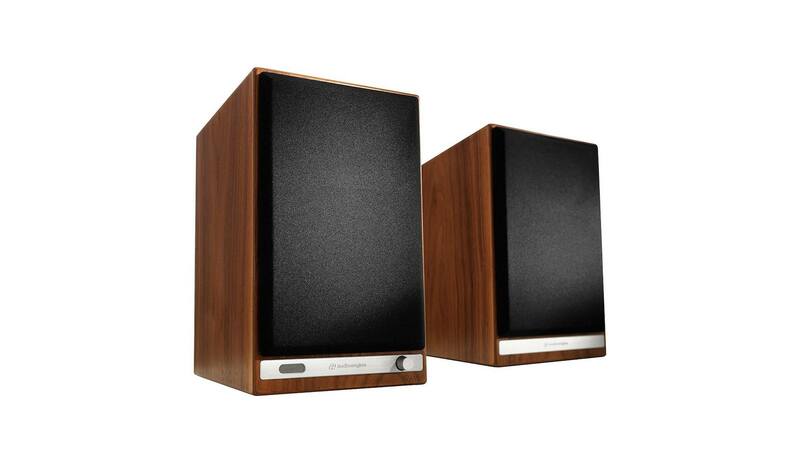 This having been said, the retro design of the speakers does not only serve an aesthetic purpose. The casing is built to maximize acoustic performance without sacrificing clarity, even at extremely high or low frequencies where other models usually tend to distort the sound. From a functional point of view, one of the most useful features of the HD6 bookshelf speakers is the integrated amplifier, which makes them perfect for a large variety of purposes. These will sound great when connected directly to the computer, a record player, a television, and even when plugging them into smartphones, tablets, and laptops. 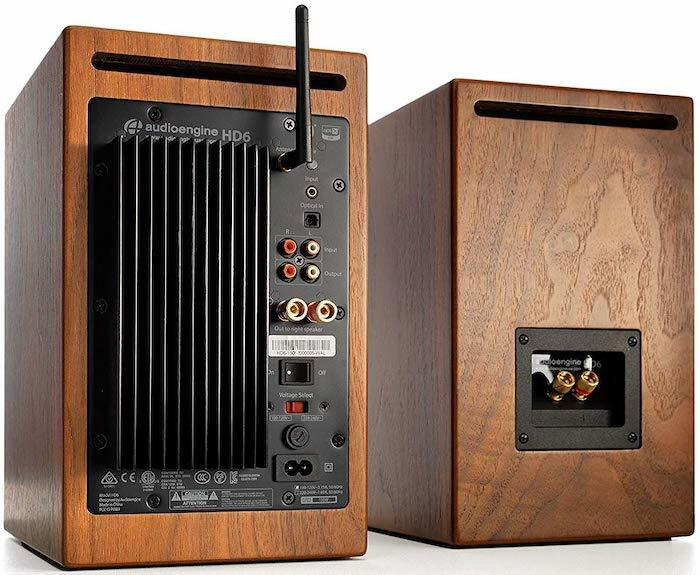 Furthermore, the integrated amplifier eliminates the need to connect the speakers to an external amp or to a stereo receiver, so owners won’t have to bother with an additional piece of equipment cluttering the room. 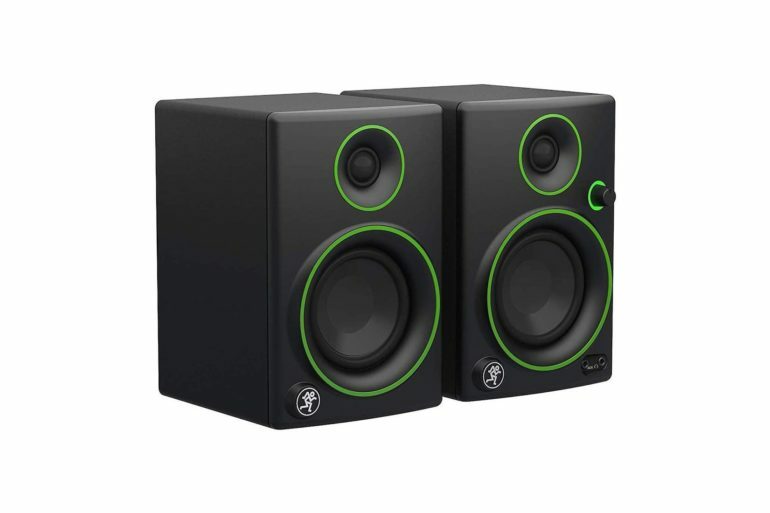 While the speakers do have great bass, especially when considering their size and price, owners can easily connect them to a subwoofer and integrate them into a fully-fledged home music system. Those who have a lot of devices and apps that they use to listen to music will find the wireless connectivity feature to be invaluable as it allows both the owner, as well as guests to play music through the speakers. Overall, Audioengine has put a lot of thought into making the HD6 both beautiful as well as functional. 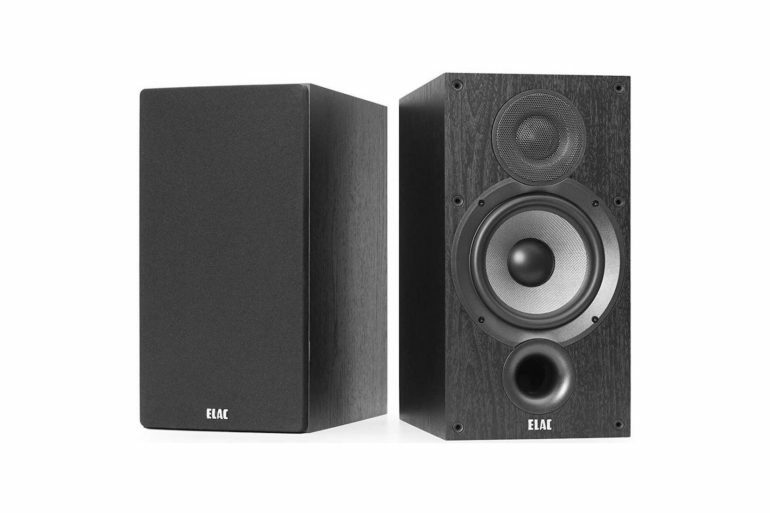 Every component has been designed to either improve the general aesthetics of the speakers, or their performance. There are no obsolete connectors or parts that would clutter the casing. Great for streaming music – the wireless connection to the speakers is stable and the sound is extremely clear, making it a great way to stream music when friends come over or at a party. No way to turn Bluetooth off – The Bluetooth connection cannot be turned off, however, when phones and tablets go out of range they do have to be reconnected manually. 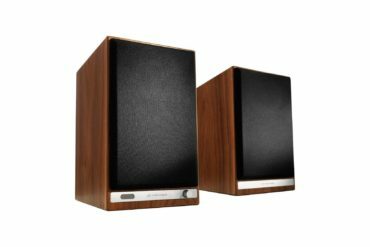 What to consider before buying the HD6 from Audioengine? How does it compare to other products in its class? 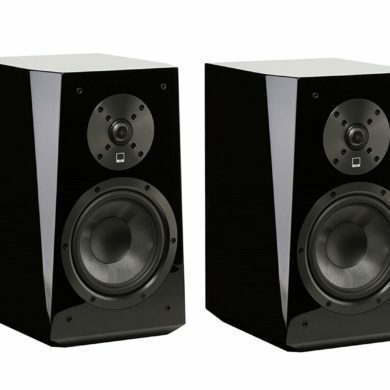 While the HD6 is a great bookshelf speaker model, there are a few other products in the same class that deserve a bit of attention, such as the modern-looking Mackie CR3, and the Micca MB42. While all three models are great, they do cater to different types of people. For example, the Micca MB42 is more affordable than the HD6, but it does need an amplifier. As for the Mackie CR3, the model is designed only for professional use as it does not come with any quality of life features. Overall, the HD6 is the more versatile product of the three, especially for a home user, due to the ability to wirelessly connect to it and stream music, as well as the fact that it comes with an integrated amp, so it can be used with any type of device that can play music. 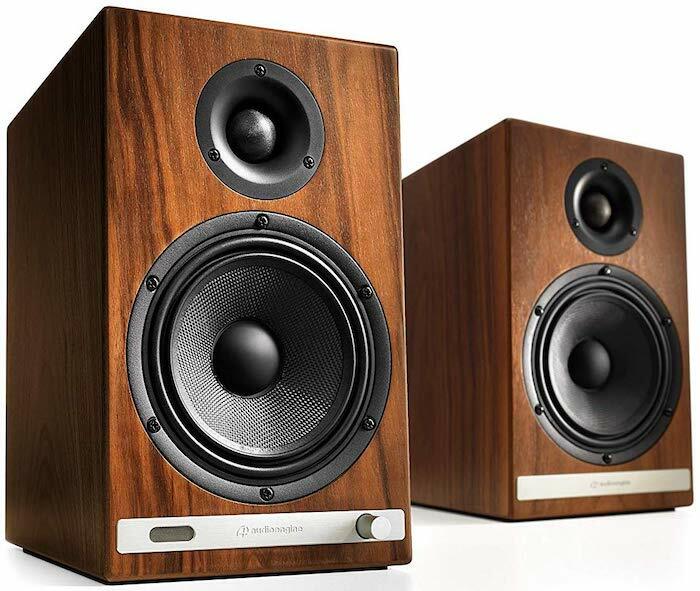 The HD6 from Audioengine is a bookshelf speaker model that offers a lot of features that are actually useful to the buyer, as well as a durable build, for a good price. 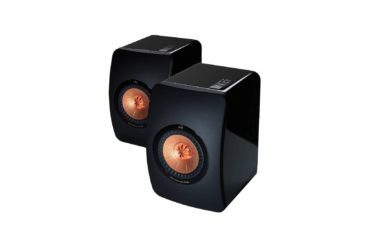 While it is by no means an entry-level product, these speakers do create crystal-clear sound and can be enough even for a large living room. The remote control, the wireless connection, and the great look of this model really makes it a great investment, especially when considering that no other equipment is needed to listen to your favorite tunes.